Paperchase has got to be one of my all time favourite stores. I love their collections and their stationery is always so beautiful. Back in December, I got a voucher to spend in store and I decided to save it for the end of the academic year so I could buy things for the coming year. And that's exactly what I did. I made sure to buy things I would need use and of course be pretty! Now, I'm pretty in love with a lot of their collections but this one particularly caught my eye. This one is called the Fold & Fly collection. 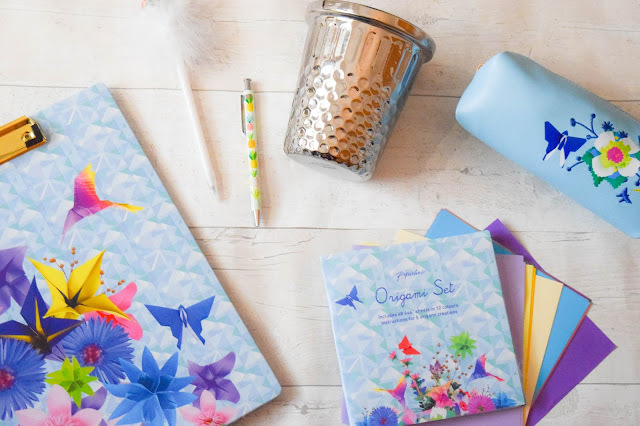 The bright colours, geometric designs and origami theme is right up my street and sits well with a lot of other stationery that isn't in the collection too. 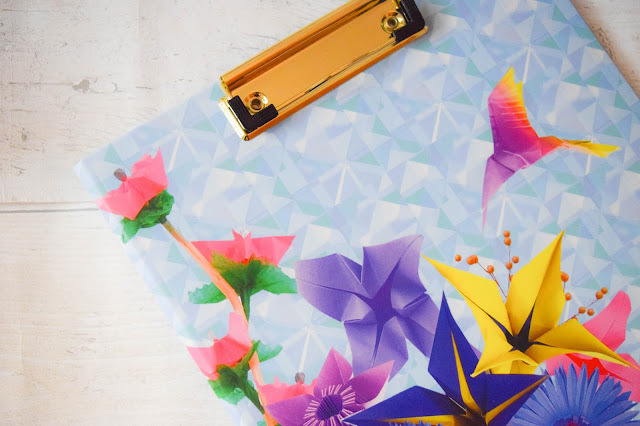 I have a bright yellow bullet journal that works well with this and I love bold brights so I can always base any other stationery purchases around this. 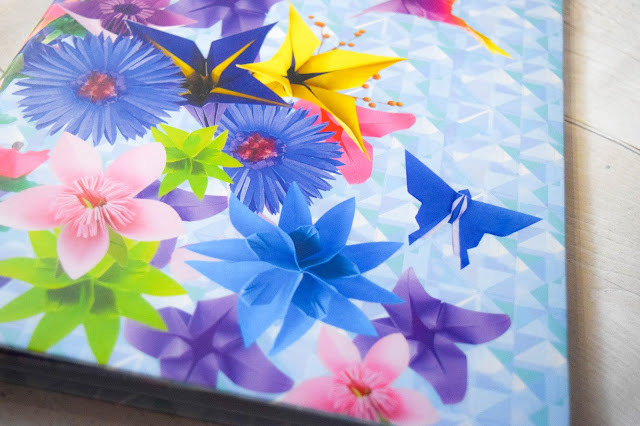 First of all, I picked up a padfolio which is this clipboard/notebook thing which will be so useful next year at work. 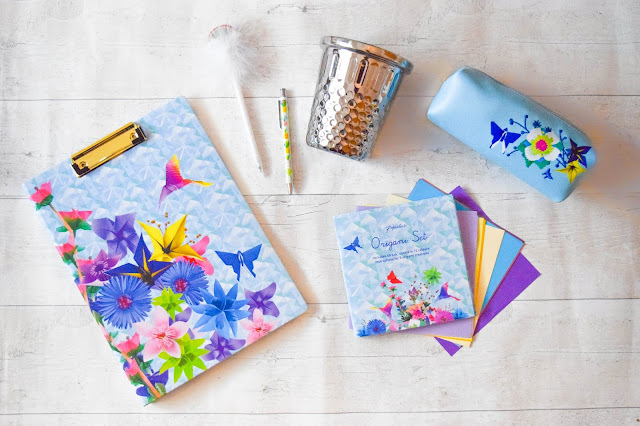 I'm always looking for a clipboard and this one is perfect to keep any fly away papers in the little wallet inside and write notes or to-do lists on the A4 refillable notepad inside too. Also, I need something to write on sometimes when I haven't got a surface so this will solve all those problems. I'll be on my feet a lot next year! Next, I picked up a couple of pens I just couldn't resist. 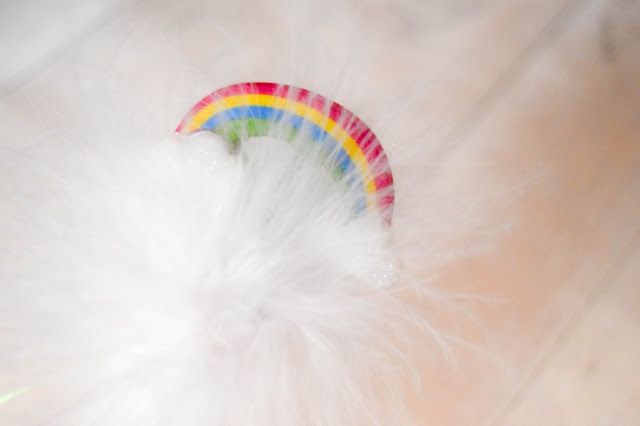 I knew I wanted something over-the-top and fancy so I picked up the cute white rainbow pen - which is a dream to write with! 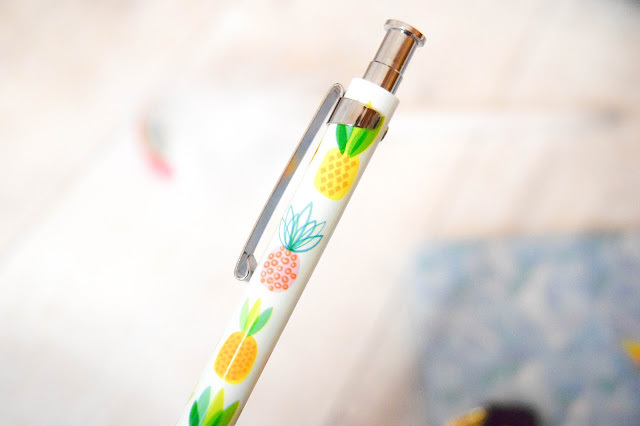 And this other standard pineapple pen because pineapples. And again, these pens are my all time favourites to write with. They're honestly the best-best-best to write with and I've used up every Paperchase pen I've had that's like this. I could fill them up but I prefer to get one with a new design on each time. Something I spotted online and was almost praying would be in store was this giant thimble desk tidy I'll be sitting on my desk. I originally was going to go for the gold one but I loved this silver and thought it would look best for versatility. As you can see it's huge and will hold all my stationery needs, but oversized anything is just too cute right? It was this or a giant sharpener desk tidy but this giant thimble won my heart. 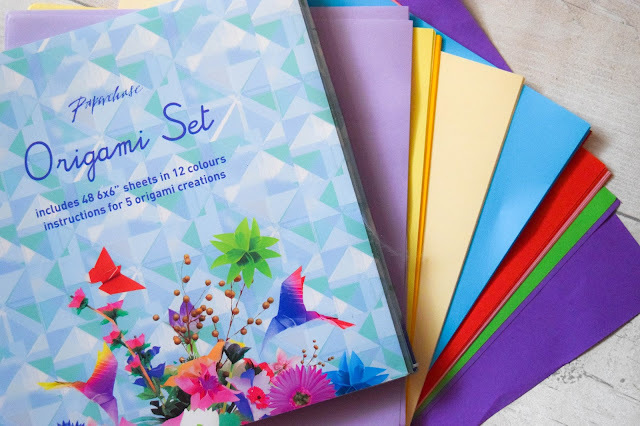 Just for fun I bought some origami sheets because I adore making little origami things and learning how to make new ones. I've already made two butterflies and mastered how to make cranes! I'm thinking of making an origami mobile to hang in my room above my bed which makes this purchase doubly useful! 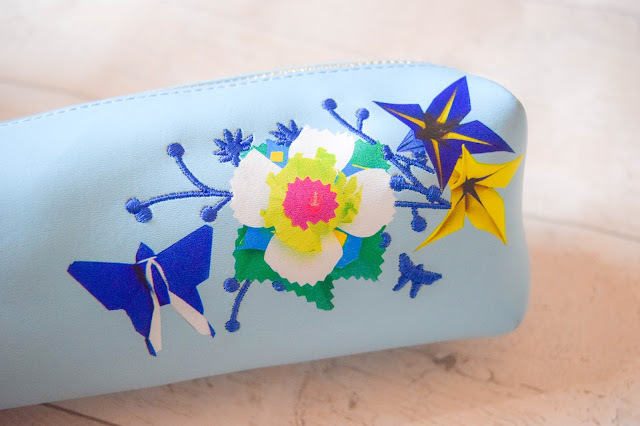 Finally I picked up my favourite thing to buy fresh and new every year: a pencil case. This is also from the Fold & Fly collection and I loved the bright plain blue with this simple cute design. My current pencil case is looking a sorry state so this will be perfect to swap it with. And it'll stop me carrying unnecessary stationery with me too! Seriously though. 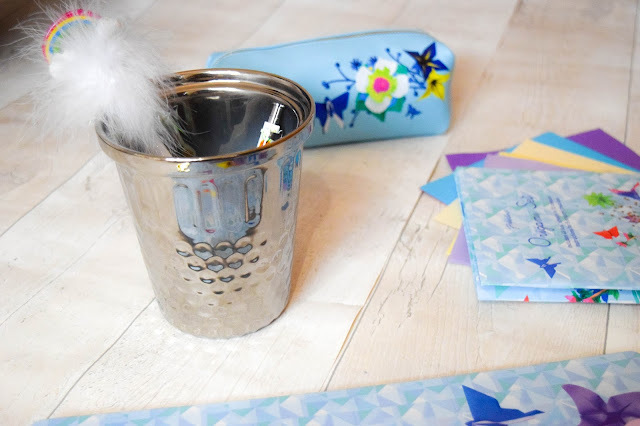 I have a deep love for Paperchase and I've just seen their Hello Kitty back to school collection on the website and I still really like their current Glamingo collection too. I'll stick with what I have for now, but now I'm looking forward to seeing what they'll have available for their next collections! I love your Paperchase haul, stunning colours. And the thimble pot is awesome! Thank you so much! Yeah, the pot is pretty amazing! It comes in gold toooooo!!! !